In Nairobi this week, Renault Trucks launched a new Range K line as part of an ambitious plan to expand in Eastern Africa. The Range K is a versatile, rugged truck that is designed for local owners engaged in a variety of sectors such as long-distance haulage to neighbouring countries and consumer goods delivery, or rugged conditions like mining and construction operations. Renault Trucks are part of the Volvo Group and are completely separate from the Renault car company. In Kenya, Renault Trucks are exclusively distributed by the CMC Group, which was acquired by Majid Al Futtaim Auto in 2014. Renault Trucks sold 55,000 of their award-winning line of trucks in 2018. They lead in Franco-phone (Northern, Western, and Central) Africa, and their plans to expand further in Eastern and Southern Africa, led to a partnership deal with CMC, under Majid Al Futtaim Auto. 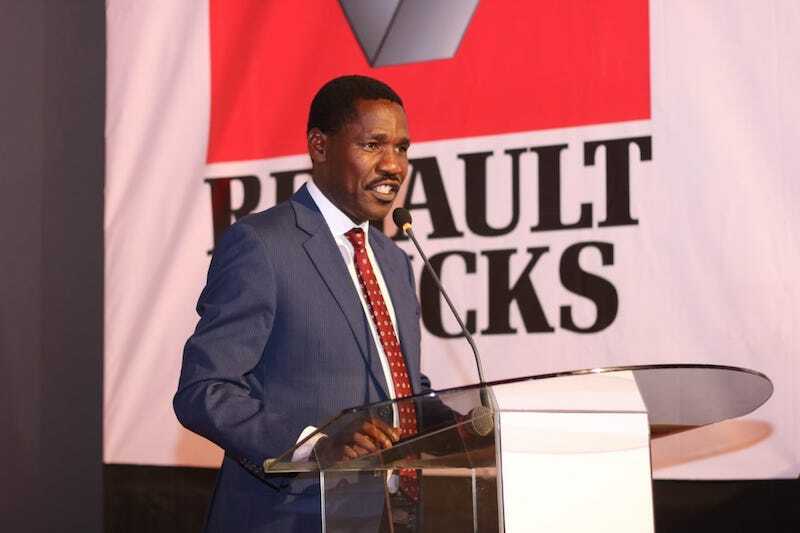 CMC Group, which is now in 3 countries (Kenya, Uganda, Tanzania), plans to grow to 10 countries – including Mauritius, Mozambique, Rwanda, Burundi Zambia, Zimbabwe Malawi over the next few years and the global brand of Renault Trucks will be part of that push. CMC Group will sell K440 (Range K) series and C440 Renault Truck model. The Range K’s are fitted with robust chassis and heavy-duty robotized gearbox, which make them easier for their drivers. The trucks all have Optidrive Xtrem, described as the best gearbox in the market, which is a clutch-less manual gearbox. Drivers have an adjustable steering wheel with controls similar to a private car and there is a 7-inch screen for them to view all vehicle settings during operations. The Range K trucks are designed can carry up to 13 tons per axle and they have heavy-duty “fifth wheels'” that can pull trailers of over 33 tons in this region with a range of over 1,000 kilometers on a single diesel tank. The trucks have load sensors and low range gears for use on project work like street sweeping, tarmac laying and water-spraying. They have electronic parking brakes and hill-start aids that prevent roll-back, and with drum brakes on all wheels that can go for up to 750,000 kilometres without needing change. The K440 trucks have high ground clearance with engine under-guards and are designed to manoeuvre in tight spaces and climb out of hilly places like construction sites without damaging the underbelly of the trucks. The vehicle design encompasses steel protection of parts that are sensitive like headlights and license plates, so they are not damaged at rough worksites. For companies, there is also a large front advertising area above the radiator grilles, which itself easily opens to allow for drivers to do quick maintenance checks. At the launch, key managers of CMC and Renault Trucks highlighted how operating expenses take up 76% of the ownership cost of a truck for investors – with fuel accounting for 37%, driver costs 23% and repairs for another 16%. Renault configures trucks for each owner in terms of axle ratios, braking and power modes. There is also mandatory driver training to ensure reliable vehicle usage while reducing fuel consumption and maintenance costs with the goal of having the trucks always available and working on the road. The trucks come with an international 12-month warranty and CMC also offers start-and-drive 5-year contracts and personalized maintenance plans in addition to after-sales services and genuine parts at its wide network of distribution centres around East Africa. CMC Group has entered a partnership that will see Kenya Vehicle Manufacturers assemble Renault Trucks from CKD’s at Thika, and which the French Ambassador said would create 200 skilled jobs in the country. 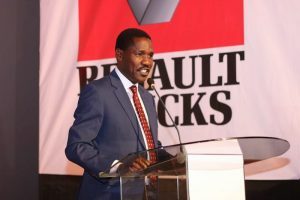 Also at the launch, Kenya’s Cabinet Secretary at the Ministry of Trade, Industry and Cooperatives, Peter Munya, spoke of the government plans to increase manufacturing’s share of the economy through the formulation of policies and tax incentives that would secure investments by auto manufacturers to set up more assembly plants in Kenya. Looking to the future, Renault Trucks plan to launch a line of all-electric trucks, from 2019, for Europe, but sadly not for East Africa, yet. 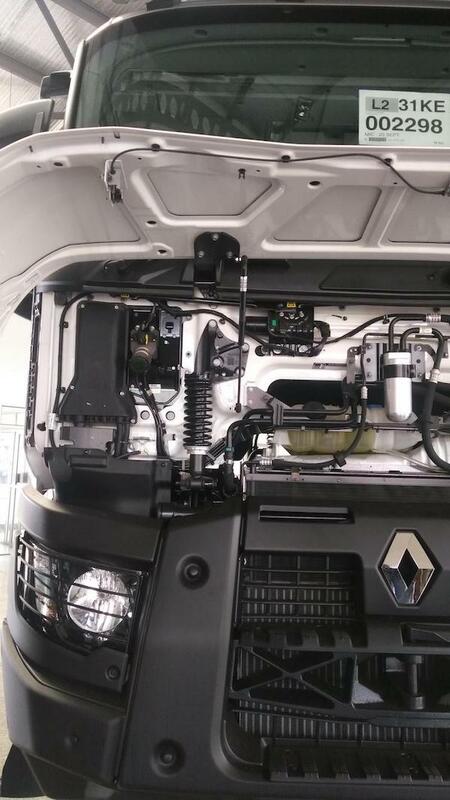 This entry was posted in CMC, France, Investing in Kenya, Kenya motoring and tagged Renault Trucks on January 18, 2019 by bankelele.